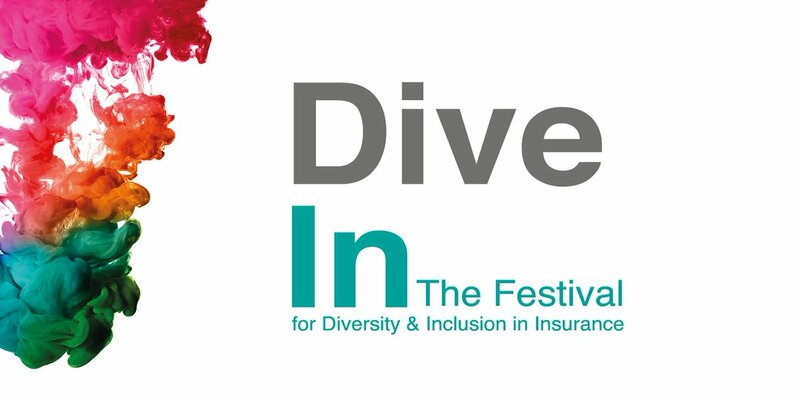 The Dive In Festival drew to a close to on Friday after a week of celebrations, uplifting stories, inspiring experiences and a wide range of amazing people from all walks of life working towards making the insurance industry, if not the world, a better place. The one aspect that really struck me this year was how truly international this festival has become in just four short years. Last year 7,000 people in 17 countries and 32 cities took part in the event and this year it’s even bigger, with over 50 events on the programme. This really is a testament to the commitment of our industry to making diversity and inclusion part of the fabric of what we do and really believe in it. 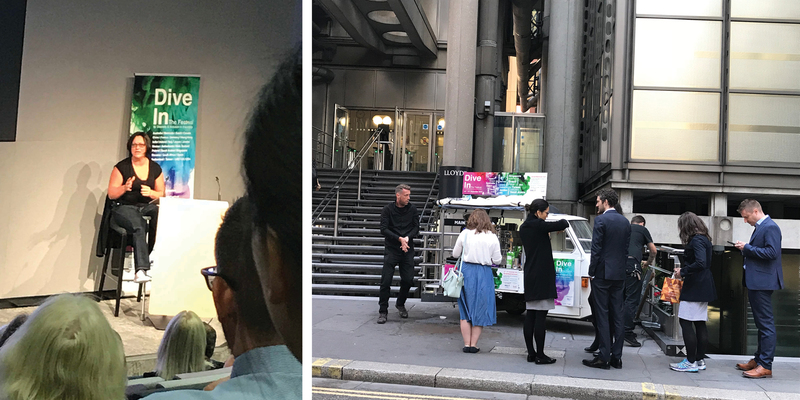 As I walked down Lime Street on Wednesday, the Dive In mobile barista was very busy providing coffee for those just going into or coming out of Lloyd’s and I could hear various conversations about the Dive In events people were attending. There was a real buzz in the air and it seemed to me there was a much greater awareness this year about the festival. In fact, when I entered the auditorium in the Willis building to attend one of the many events on the programme, it was a full house. I listened to an amazing talk by Martine Wright MBE, who was a victim of the 7/7 bombings and lost both her legs. Many of us will remember that day in July 11 years ago and some will have been affected by it. I remember it for the horrific loss of life and the damage and for the stories of heroism and triumph of the human spirit, but also bizarrely, and on a happier note, because it was the day I met my husband. Martine is now captain of the GB sitting volleyball team and we were lucky enough to hear about her incredible journey to achieve this. Her perspective was not that she was unlucky enough to lose her legs or to keep asking ‘why me?’, but that she was one of the lucky ones, because she survived. She is a truly inspirational individual and her outlook and attitude to life reminded me that often a lot of the worries we all have pale into insignificance when compared with what some people manage to overcome. It really helps get life in perspective, to take a step back and challenge ourselves to make better choices. This theme of taking the time to make the right choices was the overarching message from Dive In this year. Taking the time to create more inclusive and diverse workplaces that will ultimately yield more productive and innovative businesses that in turn will start to change behaviours within these organisations and beyond. © Copyright 2016 Rein4ce. All Rights Reserved. rein4ce Ltd is registered in Scotland No 342747. Registered office: Waterloo Chambers, 19 Waterloo Street, Glasgow, G2 6AY, UK.